﻿ Best Price on Karibea Sainte Luce Hotel in Sainte-Luce + Reviews! 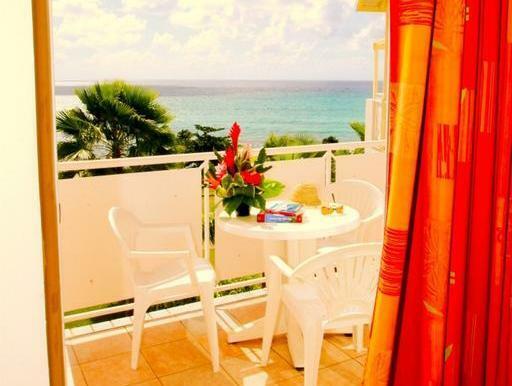 Karibea Resort Hotel Amyris is set on the seafront, just a 2-minute walk from Anse Corps de Garde Beach. It offers 3 outdoor pool, tennis court and air-conditioned accommodations with private terraces. Each bright junior suite at the Karibea Resort Hotel Amyris features a seating area with a TV and a fridge. Bathrooms include a hairdryer and free toiletries. Some suites also have a kitchenette. La Yole restaurant it is located in the resort's gardens overlooking the Caribbean Sea and offers contemporary cuisine, buffet including show cooking stations and à la carte dishes. There is a spacious terrace outside. There is a snack restaurant called Le Sikrier and a bar. The resort offers a aquagym, fitness trail on the beach and water sports station a few minutes' walk away. Relaxing services such a wellness and beauty center offering massages and body care are featured. Free WiFi is available in the public areas and there are also multiple meeting rooms. Martinique International Airport is around 15 mi from the Karibea Resort Hotel Amyris, while the center of Fort-de-France is 20 mi away. Free parking is available on site.